I will text them: "???????????????????????????????" No one messes with my heart. No one! Someone spills a coffee on your shirt. Your reaction? Who the #@$% listen to them?! Your reaction to anything in life is balanced, and you pick your fights very carefully, You save your energy for the really important stuff. Can you teach us how to do that? We salute you! You don't just overreact, you make a day out of it. You love everything to be big, emotional, blown out of proportions and yes - DRAMATIC! 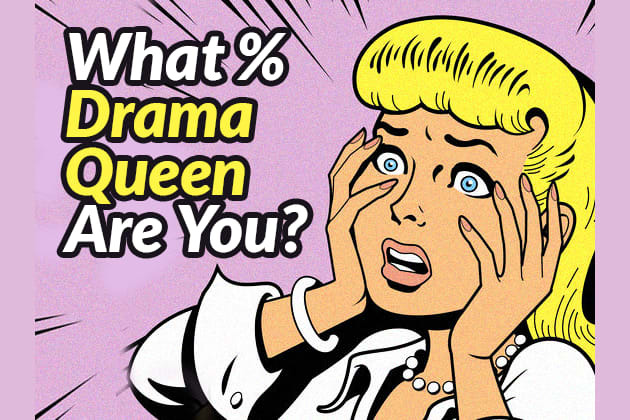 You are not just a Drama Queen - you are the QUEEN of all drama queens. You need the attention and you can't live without the excitement. The upside: It's never boring around you!